SherpaReport recently talked to Philip Mekelburg, the CEO and co-founder of Equity Estates to find out the latest developments at this equity destination club. This luxury vacation home fund, as they prefer to be called, was launched in 2007 by Adam Capes and Philip. The company currently has 7 vacation homes around North America and is about to open its 8th home. The homes have an average value of about $3M. Owner members in the fund are buying membership interests in a fully compliant Reg D private offering and as such have to be accredited investors. The company has a finite lifetime and plans to start selling off its real estate portfolio in 2021 and will then return the proceeds to the owner members. SherpaReport: 2008 was a hard year for many people and certainly for many destination clubs and second home clubs, how did Equity Estates do ? "We had a fantastic year and grew the club 50% over 2007 both in terms of number of members and amount of capital contributions. In fact, since the market collapse in October, we had our biggest quarter to date. We ended 2008 with over 60 owner members (individuals, families and businesses) representing 47 of our full membership interests (30 nights of use per full membership interest)." SherpaReport: What are your views for 2009 for Equity Estates and destination clubs? "We're very bullish, this is a great time to be buying vacation property - it's arguably a better time than any other time in the last twenty years. We can buy property at value prices, so that by the start of the planned liquidation of the portfolio in 2021 we would expect to see substantial appreciation to benefit our owner members." "Consumers are becoming more educated and will scrutinize business models and financials of destination clubs in much more detail. With our equity model and the covenants and requirements in our operating agreement, the Equity Estates model will be superior to any other alternative. . For instance, we include a 1 in, 1 out redemption process after 24 months of membership, in case an owner member does not wish to wait until 2021. This means that if a member wants to leave we will sell their membership to the next member who joins. In addition, our covenants limit our debt on the portfolio of residences to no greater than 23%. This results in the lowest annual dues in the market place of comparable homes and services since we have little to no interest expense to pass along to members." "Overall I think the market for destination clubs and second home clubs is barely penetrated. Travel patterns have changed and one (vacation) place doesn't cut it anymore, many people nowadays don't want just one vacation spot with all the expense and hassles that come with it. So the need for destination clubs and funds like ours is still there." "For our Ultra High Net Worth (UHNW) members they don't want to personally own 5 or 6 homes, it's just a hassle. Some Equity Estates members who are certainly UHNW know they made a smart decision choosing Equity Estates by not having to deal with all the upkeep and maintenance issues from having multiple homes." "Other members of Equity Estates just qualify as an accredited investor. For them, they see value in not putting all their eggs in one basket for just one vacation home. For less money they can join us and have a share in ownership and great vacations at many homes." SherpaReport: With the turmoil in all markets what sort of questions are prospective members asking you? "Here's an example, we just had a new member join who lives in Palm Beach where many wealthy people were reeling from the Bernie Madoff scandal and they were extremely thorough in their due dilligence. For instance they said "I know that your audit says you own the homes but what else can you show me to confirm this." So we actually faxed through closing statements on the homes they specifically requested, and showed documentation for the legal entities that own the homes (for tax, liability and legal reasons EE creates a separate legal entity for each home it owns). Essentially this member repeated some of the steps that the auditors go through each year." "Our view on these sorts of questions is that we want our owner members, who we see as true partners, to have access to all the information we would want to see." SherpaReport: What new homes are you opening and when do you expect to open them ? "Our newest home is a 3,400 sq ft, 3 bedroom condo in See Forever Village in Telluride. This was just released to our owner members and is available for ski trips beginning January 24, 2009. 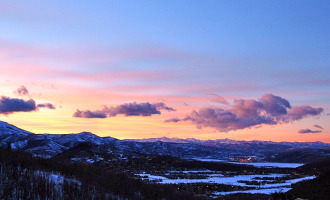 People have described the view as jaw dropping and unlike anything they've seen before in a ski home." "We are looking at opening a home in Hilton Head in the first quarter and then other top locations include San Francisco, Tuscany, Paris, Aspen, Hawaii, Costa Rica and Las Vegas. We ultimately plan to have 35 destinations within 3 to 4 years." "We can also be opportunistic, since we do get calls about distressed luxury properties. 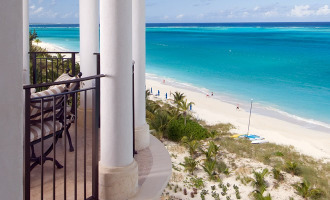 We always balance this with the requests and preferences of the owner members, but equally recognize that they are joining to both enjoy vacations and to see a return on their investment, so we consider these factors equally." SherpaReport: How are your members using the club, what are the typical travel patterns ? "The members are excited about inviting family and friends since the homes provide 3 to 5 bedrooms. They are more mindful about planning further ahead, simply to coordinate everyone on the trip. They can reserve out as far ahead as they want to." "We have organized conference calls between families and their friends to plan their trips. These calls cover items such as which nights they dine in, baby sitter requirements, restaurant selections, and fun activities our concierge team has discovered, etc. In one example, one of the moms on a call mentioned that her daughter had peanut allergies that the other families didn't know about, so there was a request to not have any peanut butter on the trip or in the house. The calls have also covered things such as who is certified to scuba dive or who will snorkel and lots more." "New York is the most popular location and the club will need to buy more homes there in the future. This particular home is used for both business and pleasure trips. The average stay in our residence is about 4 nights." "Owner members could stay for up to 18 nights at any one location, or could even stay for a month if they own two membership interests. Most people don't stay more than two weeks, so for instance in Cabo the shortest reservation on the books is for 3 nights but more typical are 5, 7 or 10 night stays." "Overall we're in a buoyant mood relative to the marketplace." As Philip graphically put it, when referring to where they stand in the current economy, "When the tide goes out people can be caught naked - we feel pretty comfortable with our bathing suit."